MassDOT will host a meeting on Green Line Extension Noise Barrier/Retaining Walls on Wednesday January 22nd from 6-8pm at the Armory (191 Highland Avenue). 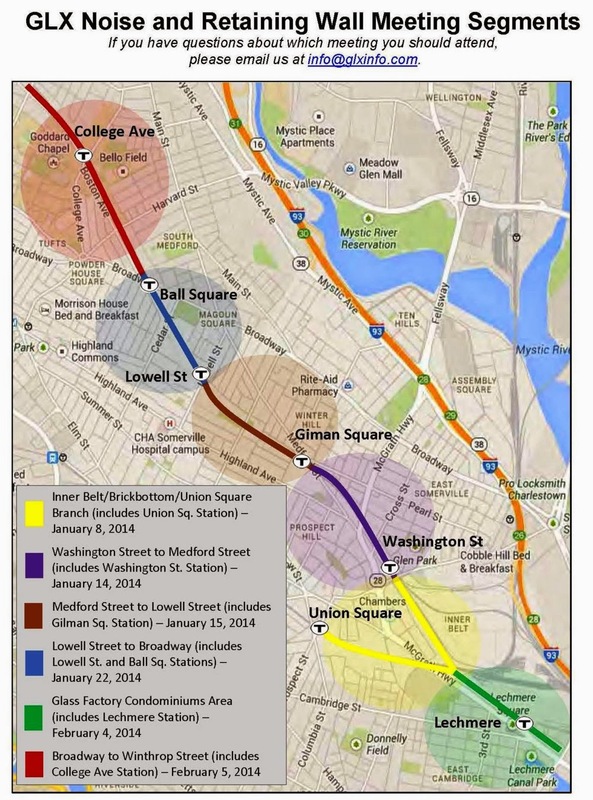 This meeting includes the Lowell Street and Ball Square Stations. The rest of the meetings will be held throughout the month of January and into early February. You can see the rest of the schedule here.